One of the key themes of biblical Christianity is the importance of sound doctrine. The Apostle Paul uses this phrase especially in the Pastoral Epistles. The term ?sound? actually means healthy and, from Paul, we learn that sound doctrine is the key to godly living and to spiritual health. It is therefore quite significant to focus on the importance of sound doctrine in this postmodern world. And in this global village, building bridges to Islam is necessary. But how do we do that without compromising the sound doctrine of the Bible, particularly as it relates to Jesus Christ? In the Perspective, I seek to probe this very issue. First, how does Islam view Jesus Christ? Muhammad was not really familiar with Christianity, nor the Bible. The Qur?an, the 114 chapters of Archangel Gabriel?s revelations to Muhammad, refutes Christian claims that Jesus died on the cross, that He was God?s Son, and that God is Trinity. Likewise, the Qur?an alludes to other beliefs that are of course demonstrably false–that Mary was a sister of Aaron and Moses and that Mary was part of the Trinity. Therefore, Muhammad denied Jesus? deity, His atoning death on the cross and the Trinitarian nature of God. The Muslim concept of God is summed up in the name ?Allah.? A critical point for Islamic doctrine is the stress on Allah?s unity of being. This dominates the Muslim?s thinking about God, and is expressed in the phrase, ?There is no God but Allah.? He is absolutely unique and inconceivable. An Islamic proverb says, ?Whatever your mind may think of, God is not that!? A constant phrase repeated in Muslim prayers is ?Allah Akbar? (God is great? )–God is far greater than any thought humans can have of him. Allah is so great that he can do what he likes, even break his own laws. In Islam, Allah has decreed all that will occur. He is the creator of all that is in heaven and on earth. His knowledge is perfect; his will is beyond challenge; and his power is irresistible. All these attributes–omniscience, sovereignty and omnipotence–are evident in his creation. Many pious Muslims carry a rosary that has 99 beads, each one representing one of Allah?s names. The one-hundredth is unknown to humans, known, legend has it, only to the camel. Allah?s might and majesty are tempered with justice. He rewards and punishes, yet he is merciful, a guardian of his servants, defender of the orphan, guide of the wrong-doer, liberator from pain, friend of the poor, and ready-to-forgive- master (Qur?an, 11:52). Allah resides in the seventh heaven, far removed from his creation. He is unknowable but he has chosen to make himself known through the holy books and through his prophets. These books include the Old and New Testaments, and the prophets include the prophets of the Old Testament and Jesus. Second, as a recent article in Christianity Today points out, there is a brewing controversy about current attempts to reach Muslims using certain nuanced translations of key biblical terms or concepts. Christopher Hays, the author of the CT article, writes that ?The Qur?an explicitly states that God could not have a son. In Arabic, the word ibn (?son of?) carries biological connotations. Muslims reject the possibility that God could have produced a son through sexual relations with Mary. Christians confess that Jesus was conceived by the Holy Spirit and born of the Virgin Mary. But this distinction is lost on many Muslims who lack the theological context for understanding nuanced Christian teaching on the Trinity.? In fact, the Qur?an states quite clearly that anyone who claims that Jesus is ?the Son of God? is blaspheming and deserves to be cursed by God. Muslims not only disagree about the nature of Jesus? relationship with the Father, they call down a curse on anyone who believes Jesus is God?s Son. For that reason, translators of the New Testament into Arabic struggle with how to translate ?Son of God,? when referring to Jesus. Muslims often will listen to teaching about Jesus as divine, about His crucifixion and even His resurrection but react with vitriol when the teaching focuses on Him being God?s Son. For that reason, some translators have suggested ?spiritual son of God? or ?Beloved Son who comes from God.? Is this satisfactory? Hays writes that NT scholars such as Darrell Bock (Dallas Theological Seminary), Jack Collins (Covenant Theological Seminary) and Vern Poythress (Westminster Theological Seminary) ?doubted they could endorse any alternative to the ?Son of God.? They expressed sympathy with missionaries who want to dispel mistaken notions held by Muslims. But they found fault with alternatives, particularly using Christ where ?Son of God? originally appeared. If ?Son of God? and Christ are strict synonyms, they note, then usage of both terms in Scripture is redundant; Peter did not confess, ?You are the Christ, the Christ.?? The phrase ?Son of God? is revelatory and to change it is to change the nature and content of the revelation of God in Christ Jesus. Personally, I do not believe we have the freedom nor the authority to change that revelation to accommodate Muslims. One can only image what the people of the Greco-Roman empire first thought when they heard the gospel of Jesus, the Son of God. With their commitment to anthropomorphic polytheism, ?Son of God? would have seemed strange indeed! God the Holy Spirit will use His Word that He inspired to do its work of conviction of sin and the need for redemption in the lives of Muslims. He has done this for 2,000 years and He will not stop doing it now. See Christopher Hays in Christianity Today (February 2011), pp. 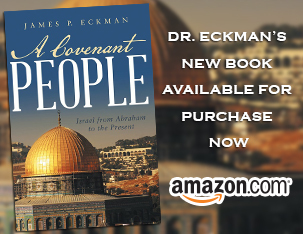 19-23 and James P. Eckman, The Truth About Worldviews, pp. 70-78. This is right on. I am not sure why a missionary would want to change the bible. It is the complete truth no matter who it offends. If we change it, it has no authority. The same authority, by the way, that these very same missionaries preach by. This is the very issue every time there is an offense to the the name of Jesus. No one cares if Jesus is a man like you and I. But if he is God, then there is a problem. Look at all of church history. Hard to imagine all the saints “of whom the world is unworthy” dying because they believed in something other than this. 1. Family language is a divine word picture that is woven throughout Scripture. It is not just the “Son of God” term. Rom 8:14-17, for example, describes believers also as sons of God. To remove all the family language requires an extensive makeover that even the most “dynamic equivalent” translators would not be comfortable with. 2. We live in a globalized world. When you do a Bible translation, you rarely do so anymore in a isolated remote village that has no contact with the outside world. In Africa, many language groups are in contact with one another and most people speak at least two or three languages. Thus a new Muslim friendly translation will be compared with other Bible translations in other languages in the region. Modifying certain key terms will not go unnoticed. This will in itself create a stumbling block as Muslims already accuse Christians of changing the biblical text to suit their purposes. 3. Changing these key terms is largely a Western preoccupation. Though the family language can truly be awkward to explain in a Muslim context, most African church leaders I have talked with have no desire to remove these terms from the biblical text. They consider God’s divine word picture as part of the revelation. They also do not want one Bible for evangelism and another for discipleship and church growth. In the end, I agree with CH Spurgeon when he wrote, “”Scripture is like a lion. Who ever heard of defending a lion? Just turn it loose; it will defend itself.” God chose His terms. Let’s trust his choice.